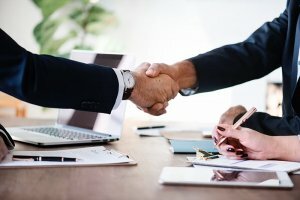 We represent corporations in all areas to support the running of our client entities from employer – employee contracts, dispute resolutions, department of labor disputes, audit representation, and pre-litigation negotiations. Corporate Formation: We help our clients to make a choice of entities under which they may run their business in Texas – Corporations, LLC, LP, LLP and LLLP. Our representation for the setup of the entities help clients to narrow down the names of the entities and to see if the name they chose are available to register and form the entities with the State of Texas, and also secure federal employer identification number for the entities. In addition, we draft by-laws and shareholder agreements, partnership agreements, operating agreements for LLC, and documenting the key understanding of these entities to their ownership and operations. In simple terms, contracts are promises enforceable by law. The basic elements of a contract are mutual assent, consideration, capacity, and legality. 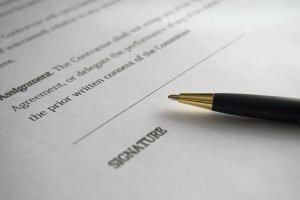 Texas courts enforce written promises as well as oral contracts as long as they meet the requirements of a valid contract. The court looks into the communications between the parties and to the acts and circumstances surrounding those communications. Ahluwalia Law Offices are experienced attorneys and assist the clients to meticulously draft contracts. Such contracts include negotiations, lease agreements, employment agreements, Share holder agreements, and other customized contracts and agreements. Ahluwalia Law offices understand the need of the clients and advice to fulfill their best interests. Business law encompasses all of the laws that dictate how to form and run a business. In Texas, business law is regulated through a combination of federal and state laws and administrative regulations. Business law addresses different types of business organizations such as corporations, partnerships and limited liability companies. Laws govern how to form and run each type of such organizations. A savvy businessperson may be familiar with the basic business types only. But it takes a smart attorney to educate the client what options are best to cater the individual requirements. At Ahluwalia Law Offices, we understand your needs and are well equipped to represent entrepreneurial start-up enterprises, partnerships and closely held companies. We also provide advice to publicly owned companies ranging from local and regional businesses to large multinational organizations. On regular basis, we guide our clients in making legal contracts, share transfers and in buying and closing businesses. Ahluwalia Law Offices safeguards the interests of a business owner and protect their financial interests. We help you build your dreams!